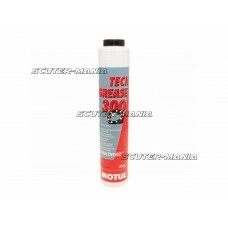 Presto white spray grease is a tenacious lubricant for reducing wear in metal and plastic mechanical.. This product description has not been made yet. We offer you a machine translated version. 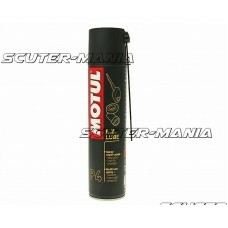 We will u..
High performance chain spray is colourless - C2 chain lube from Motul is suitable for all types of m.. Designed for street bikes and quads. CHAIN LUBE ROAD + is a white, high-viscosity, synthetic grease ..
Chain lubricant, specially developed for the chain lubrication under extreme stresses of off-road mo..
Its special formula cleans, protects and brings the surfaces to a deep shine whilst keeping water at.. 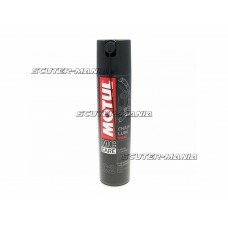 The white high-performance chain spray from Motul is suitable for all motorcycle chains (O-ring, X-r..
Motul high-performance chain lube, specially developed for road motorcycles and karts. 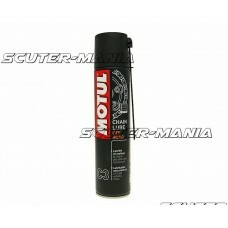 Chain splatte..
Special multi-purpose Motul Technosynthese® with strengthening ester- elements allows for smoother s.. 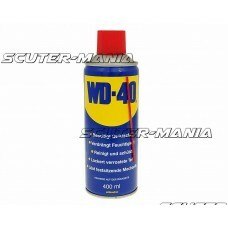 Synthetic multi-purpose grease for applications on all vehicles. NLGI: 2. 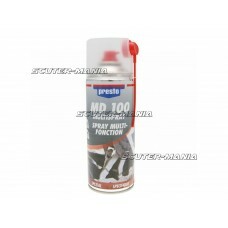 Dripping point: 260 ° C. U..
Presto MD 100 multi spray is a universal, high-quality oil for lubrication and protection of metal a.. 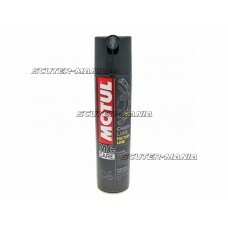 Agent intermediar de blocare a filetului mediu. . Sfatul nostru: Utilizam doar compusul mediu, in ..
Pulverizatorul alb de inalta performanta de la Motul este potrivit pentru toate lanturile de motocic..